Craven Cottage has a history that dates back to 1780 when a cottage was built in the woods and the surrounding fields were used for various sports. The site, however, later fell into disuse and the original cottage burned down in 1888. 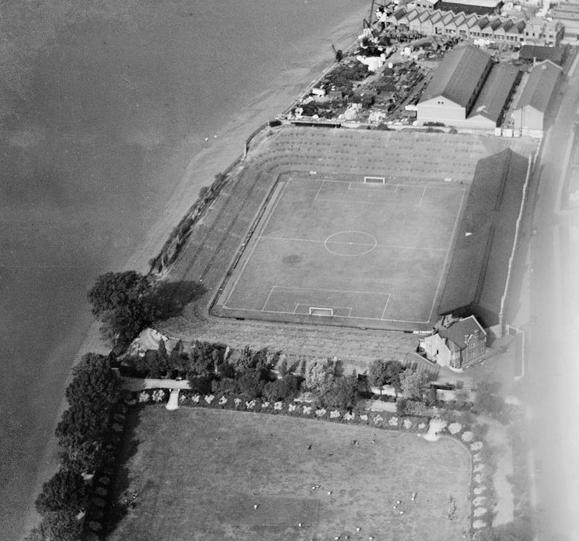 Fulham had already played at various grounds when their eye fell on the site close to the river Thames. After cleaning up the overgrown field, they played their first match at the ground in 1896. 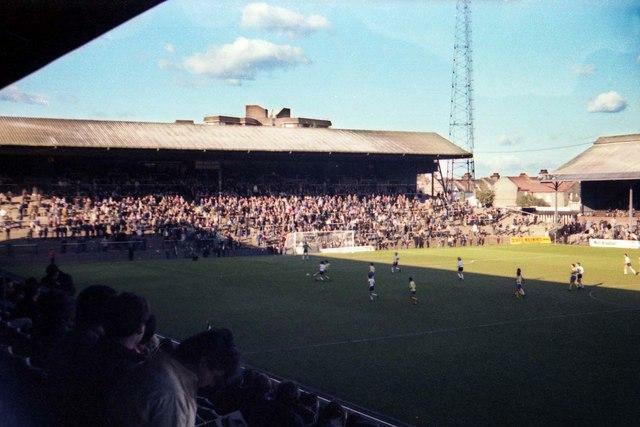 Craven Cottage at that time consisted of nothing more than a basic wooden stand. This changed in 1906 when a first proper stand was built. The stand, currently called Johnny Haynes Stand, was designed by Archibald Leitch and had a characteristic red-brick facade. The stand was accompanied by a pavilion, which is the present-day Cottage. Craven Cottage was further expanded with terraces in the next decades and reached its record attendance in 1938 when a total of 49,335 spectators attended a game against Millwall. 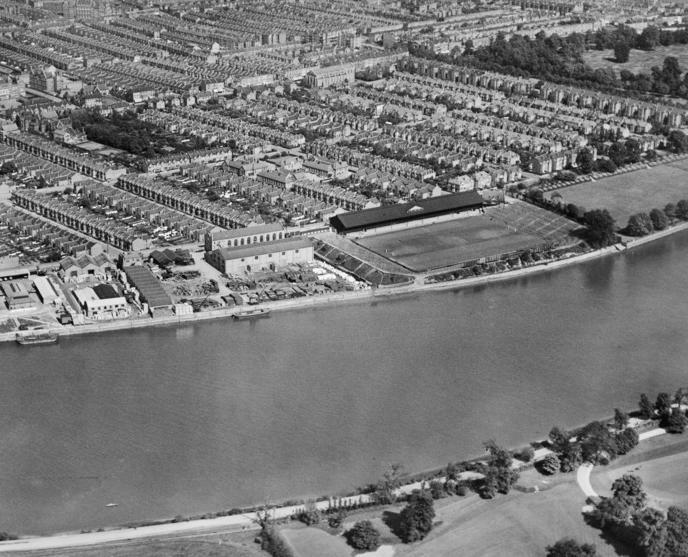 One decade later, Craven Cottage hosted a few games during the 1948 Olympic Games. In the following years, the stadium got further improved, concluding with the construction of the Riverside Stand in 1972. Fulham played most of the 1980s and 1990s in the lower leagues and therefore few further changes were made to Craven Cottage. When Fulham started climbing up the league in the late 1990s and achieved promotion to the Premier League in 2001, the stadium was therefore not able to meet Premier League requirements. The club consequently moved to Loftus Road for a year (after a first year of dispensation), and expected to return to a brand-new stadium. 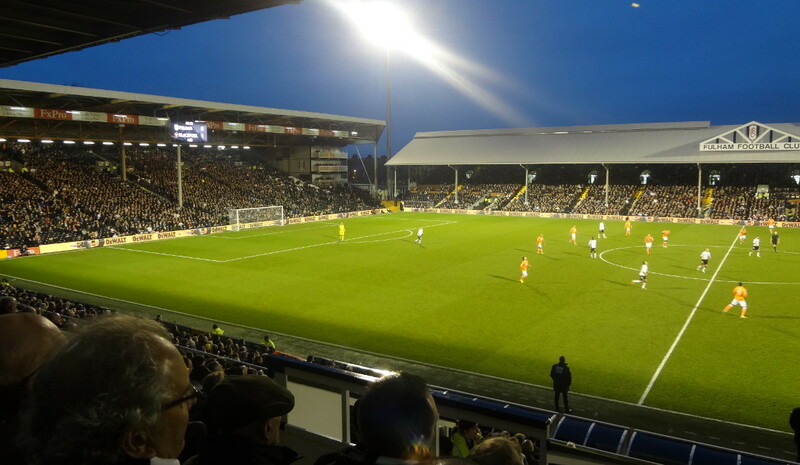 However, due to opposition to the reconstruction plans and spiralling costs, the plans had to be abandoned and instead was chosen to refurbish Craven Cottage. Works were completed in the summer of 2004. 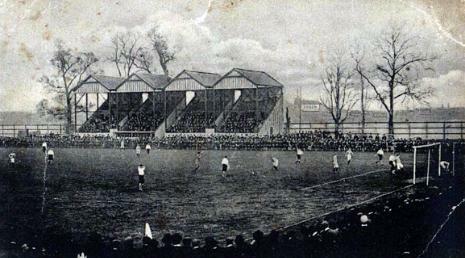 Craven Cottage remained one of the smallest grounds of the Premier League, and Fulham therefore kept considering either moving to a new stadium (possibly to be shared with another West-London club), or further redeveloping Craven Cottage. The club in the end decided to stay at Craven Cottage and developed plans to build a new Riverside Stand, raising capacity to 30,000 seats. While they had their plans approved in 2013, works on the stand are yet to start. Craven Cottage is located in the Hammersmith and Fulham borough in the west of London, about 5 miles from the Houses of Parliament and Westminster Abbey. It sits on top of the banks of the river Thames and is bordered by Bishops Park. The stadium is best reached with the underground (tube). From Putney Bridge station, which is on the District Line, it is a 10-minute walk to the stadium. An alternative is Hammersmith station, which is served by trains on the Circle, District, Hammersmith & City, and Piccadilly lines, from where it is a 20-minute walk to the stadium. Craven Cottage is difficult to reach by car, and due to parking restrictions it is not advised to arrive by car on matchdays. Craven Cottage lies in the quiet and relatively well-off Fulham area. The immediate area around the stadium is mainly residential, but there are a few pubs and places to get something to eat near Putney Bridge tube station and Fulham High Street. Right by Putney Bridge is the Premier Inn Putney Bridge hotel, which gets good reviews and is not unreasonably priced for London. The walk to the stadium through Bishop’s Park takes no more than 10 minutes. Alternatively, you can opt to get a hotel near Hammersmith station, with the added advantage that you have got good transport connections to central London. The Best Western Hammersmith and Novotel London West are very decent options. Finally, the Holiday Inn Express Earls Court and Ibis Earls Court near West Brompton tube station may also just be at walking distance (30 minutes) from the stadium. There are many more hotels near Earls Court station, which is a short metro ride away. Click here for an overview of all hotels near Craven Cottage. Tickets for Fulham matches can be bought online, by phone +44 (0) 843 208 1234, or in person at the ticket office at the stadium. If tickets remain available, these can also be bought at the ticket office on the day of the match. Fulham rarely sell out in the Championship. Fulham have divided their home matches into two pricing categories. Tickets for Category B matches, the cheapest, range in price from £20.00 for a seat behind the goal to £35.00 for the central parts of the long sides. Tickets for Category A matches, the most expensive, cost between £25.00 and £40.00. Fulham offer guided stadium tours that include the changing rooms, trophy lounge, dugouts, Cottage balcony, and the Johnny Haynes statue. Tours tend to run a few times a month, generally on Friday, Saturday, or Sunday at 11:15 am. Check the Craven Cottage events website for exact dates and hours. Bookings can be made online. Walk-ups are allowed, but subject to availability, and it is therefore advised to book in advance. The tours costs £15.00. For more information email cottagetours@fulhamfc.com. Fulhamfc.com – Official website of Fulham FC. Journeyplanner.org – Plan your journey around London (public transport). We took advantage of the discounted admission prices for an FA Cup tie to get to see Craven Cottage. We arrived with the District Line and got off at Putney Bridge Station. The inevitable tube delay meant that we only arrived a few minutes before the match at the ground, but we weren’t the only ones as we were among a good crowd to make our way through Bishop’s Park. It takes about 15 minutes to get from the tube to the ground. We had bought our ticket online before and printed them out, which meant that we got into the ground quickly and were seated before the start of the match. As tickets for all stands went for the same price, we had gotten ourselves some central seats at the Riverside Stand, which was great. You make your way to the stand through a tunnel below the Putney End stand and then end up right along the river Thames. The views from the Riverside Stand are great if you can avoid the restricted view seats, and during half-time you can pop out again and have a look over the Thames. If you wish to get something to eat or drink during half-time, it may make sense to walk towards the Hammersmith End where queues seemed significantly shorter. The atmosphere was relatively subdued with neither the home nor away fans particularly boisterous, and while initially still rather promising, quickly petered out as a result of the quality of football on display. After the match we decided to walk to Hammersmith tube station to avoid any possible further delays. While we did not know the exact way, there was a significant number of other fans taking the same option that we could follow. Overall, Craven Cottage is one of the English stadiums with the most character, and is definitely worth a visit if you are in London. Not the noisiest stadium by a long way, Craven Cottage has a unique atmosphere, especially for evening games. The place is really, really friendly right from the fans through to the staff – even the ones who search you as you come in. The really unique thing at this ground is that the Putney End houses supporters of both teams without segregation. Usually half of it is allocated to away fans, and the other half is described as “neutral” where supporters of both teams sit happily side by side proudly supporting their teams and wearing their colours. Usually mixed in amongst the people there are a large number of “football tourists” – people from all over the world adding to atmosphere. It being the easiest premier League ground in London to get tickets at. Hats off to Fulham for doing this – people are trusted to behave sensibly, and from what I’ve seen they respond to that opportunity. I’ve sat there several times and never seen and bother. Only complaint is the over-priced and average food inside the ground, and the hugely expensive tickets for Category A games (ie Man U, Man City, Liverpool, Arsenal, Spurs and any other London PL team – ie QPR currently and West Ham last season). The last ground I ever stood at, and it was a pleasure, the terrace didn’t seem level? The stands behind the goals were old and tatty but that what made my visit great. It still had its history, pretty sure it still had wooden seats as well? The cottage is unique and to me very strange to see at a football ground, but this what makes grounds special, love the old school stand I stood in with its brick work on the outside, no new metal plastic stuff they use now.